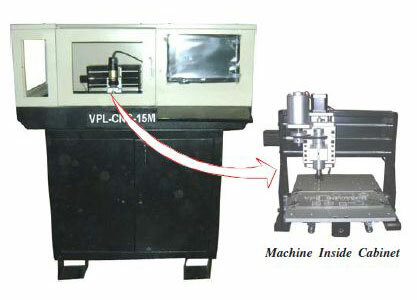 We are a major CNC Milling Machine (VPL-CNC-15M) Exporter & Supplier in India. CNC Milling Machine available With Cabinet. Rated current/Phase : 1.68 amps.